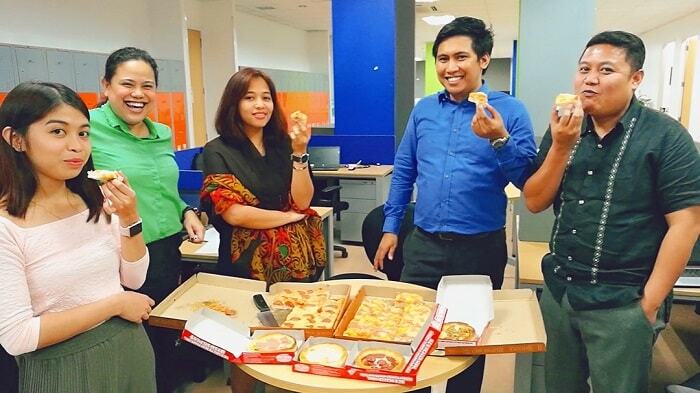 for urban women | a blog by blair villanueva: Pineapple on Pizzas? Why not?! Pineapple on Pizzas? Why not?! Maybe some of you find a pineapple-on-a-pizza quite odd, but for us pineapple-lovers (yes including me!) it is awesome! Having a natural fruity-sweet on that of our (sometimes greasy) pizzas is a so good, and I don’t care even Gordon Ramsay says about it. 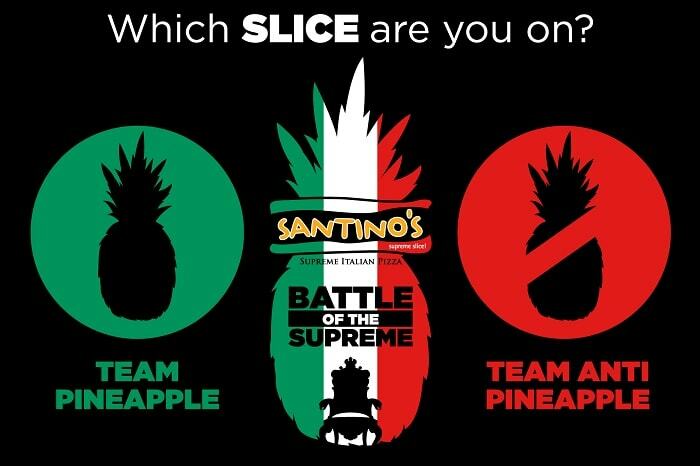 As the debate continues worldwide, SANTINO'S SUPREME SLICE creates a platform to a friendly yet interesting competitive debate for all pizza lovers on its very first BATTLE OF THE SUPREME: Team Pineapple vs. Team Anti-Pineapple Campaign, this is a series of dare battle videos between two teams that will be uploaded on the Official Facebook Page of SANTINO'S SUPREME SLICE starting last February 14, 2018. Each representative of the team must accomplish the dare to score a point. The team with the highest total points will be the winner! 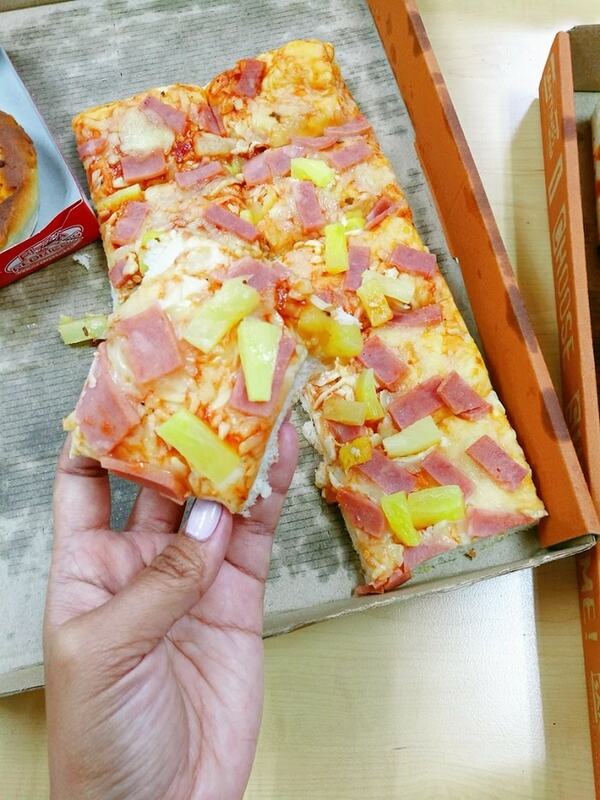 Supreme pizza lovers out there can show their support by buying SANTINO'S SUPREME SLICE Hawaiian Madness for Team Pineapple and SANTINO'S SUPREME SLICE Non Pineapple Flavors for Team Anti-Pineapple. 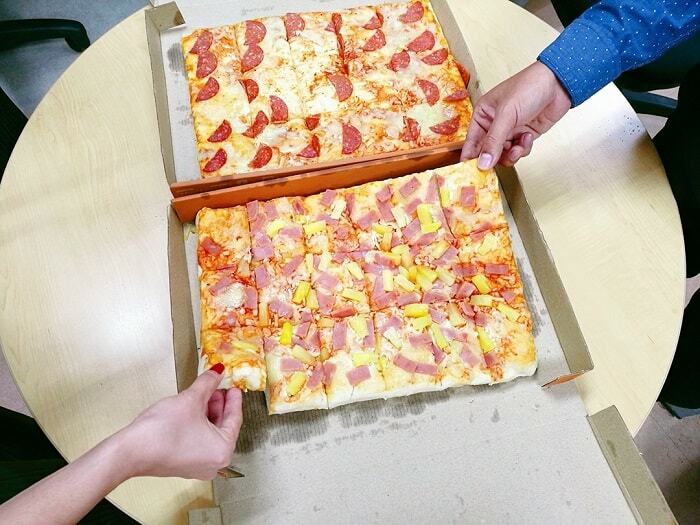 Are you a forever fan of Team Pineapple or you'll stick being in Team Anti Pineapple? Who do you think will reign SUPREME? Okay I will biased but, am a Team Pineapple babe. Pineapple is good in our body, and I don’t like tons of meat on tops of my pizza. Eeewwww! I can tolerate this pepperoni and cheese on top, but I have to eat a whole pineapple fruit after, hahaha. So what my crew says about their pizza?! 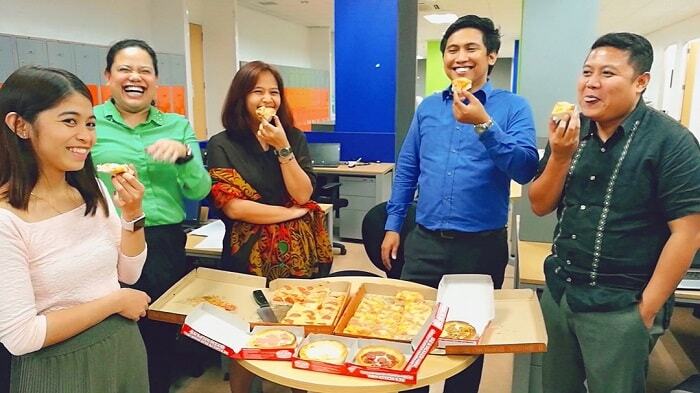 SANTINO'S SUPREME SLICE is the Philippines' fastest growing pizza kiosk chain with over 200 SUPREME outlets nationwide. For SUPREME business opportunity, reach us thru these hotlines: Manila (02) 411-9444; Cebu (032) 520-8811, Davao (082) 295-7943 or 0925-511-9444. I love pizza.. 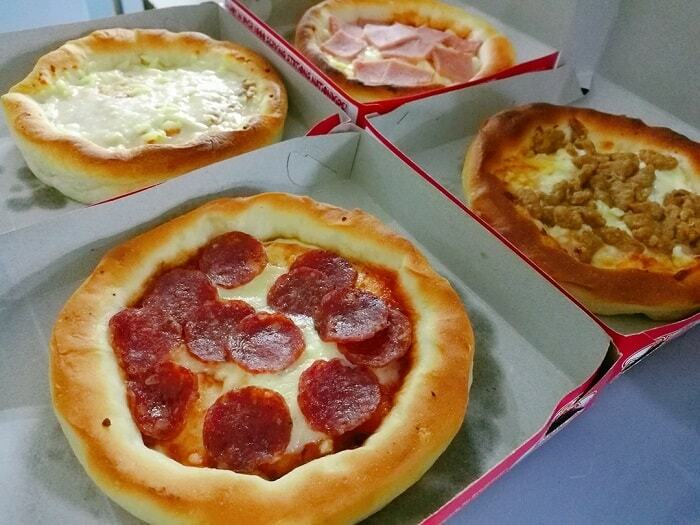 I wanna try and eat this pizza.. yummy! Let's dine! Yeah people doesn't like it, but who cares. I love it! I love! Hehe. That sweet tangy taste on my food always make my day! Haha. I am an anti-pineapple pizza person because my tongue cannot take so much of pineapple also. Hahaha... sometimes when I ate too much pineapple, it hurts my lips, but its okay! Hahaha thank you! I don't mind mixing pineapple in all cuisines. It add some sourness to the pizza which I love it too! Pineapple, tomato sauce and pepperoni yums combination! You are so right! Too much meaty is isn't good. We need little sweetness! I'm on the why not brigade as far as the pineapple on pizza debate is concerned. I'm curious, what was the final result of the contest? I am a pizzaholic and I love pineapple topping. Another favourite of mine is pepperoni. I know it might sound weird but I like it. not weird at all. I do it too!